today is a sad day for Finsterforst, as we have to inform you that Hannes will leave the band following our last Raunächte Tour gig in Berlin. Hannes wants to proceed with other things in his life and wouldn't be able to find the time and right motivation to go on as a full time member of Finsterforst. While we are sad he's leaving, we also deeply respect his decision to make a clear cut before our friendship might suffer from problems that would definitely arise with one member of the band not being fully committed to it. Hannes has been an integral part of the band from the start and of course his accordion and singing are somewhat trademarks in the Finsterforst sound. Though he won't be part of every day band life, we will still put his skill to use when it comes to recording new stuff, so you can rest assured people, we aren't going to change our ways in terms of sound, we'll just have to deliver live without him. We are looking forward to making the last gigs with Hannes aboard memorable ones and we hope that you, our beloved fans, will find the time to give Hannes the send-off he's deserving for his commitment and sacrifices over the years. Well, needless to say, but nevertheless: we thank you, Hannes, very much for everything you have done for us and all the times you were the voice of reason within this drunk horde that is Finsterforst. You'll always be welcomed back with open arms bro! "10 years ago, I joined Finsterforst playing accordion and singing. Since then there were a lot of great gigs, special encounters with wonderful people and always a lot of widenings of my own horizon. Due to new challenges in my profession and changes in my private life I'll stop all live-activities in Finsterforst with the beginning of 2016. This has not been an easy decision, because everything that is connected with Finsterforst is of a prime importance for me. I want to thank all the great people, which I had the chance to get to know during the years and I hope, that you'll still remain loyal to the Schwarzwald-Horde." 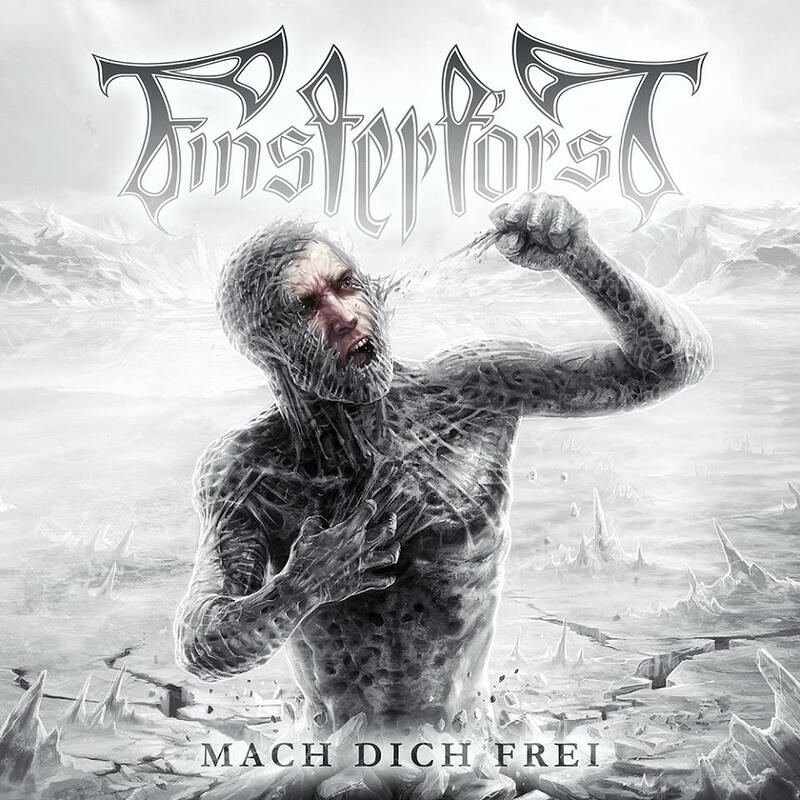 Today we are proud to announce the artwork and the tracklist of our upcoming album, it will be called: Mach dich frei! See the brand new music video for the title track right here! You got robbed and the hipsters took all your clothes? You moved to a new house and your girlfriend packed everything except your favorite Finsterforst CD's? You don't know what your Grandma wants for Christmas, but you definitely don't wanna go for another picker arm? You just need to throw more money at bands after Jari got his studio? Whatever the reason, here's the new place to go and waste your hard-earned money!